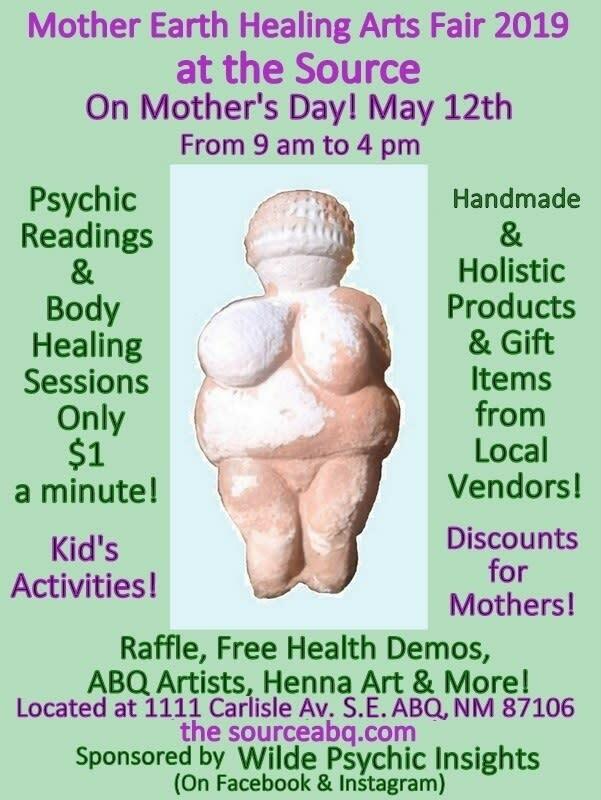 Join us on Mother’s Day to celebrate Mothers with psychic cleansing, spiritual nurturing and personal healing! 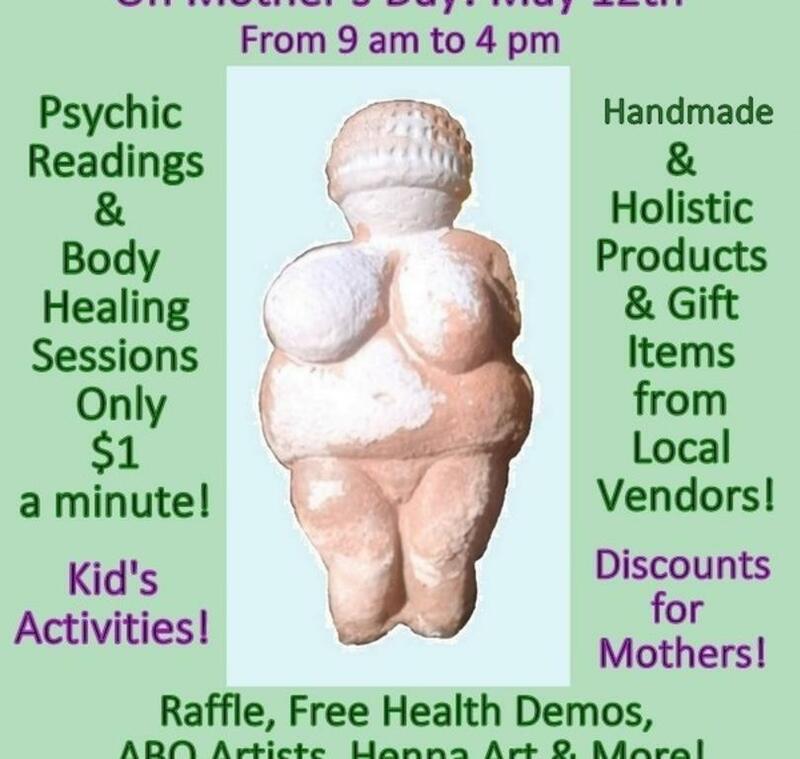 We will have Psychic Readings & Body Healing at a special rate of only $1 a minute!Purchase handmade & holistic bath, beauty & healing products, gifts & jewelry and spiritual art from local vendors!Raffle prizes from our local vendors! We will also have Artists, Henna Art, Live Music, & Kids’ Activities! Free Admission & Kid Friendly!